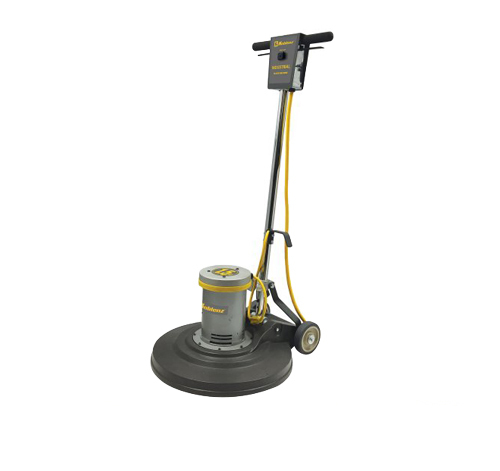 Koblenz floor machines are your best option for the maintenance of your floors, All Koblenz floor machines include safety switch and locking mechanism to avoid accidental start. All machines are designed with a triple planetary all steel gear that assures a durable and smooth transmission of power from the motor to pad driver for greater user comfort. New Nobles BR-1600-NDC High Speed 20" Burnisher New Aztec Grand Finale 36 Floor Finish Applicator Tennant B10 27 in Battery Rider Burnisher New Minuteman FR-20 1 1/2 HP 115V, 60 Hz, 175 RPM 20"